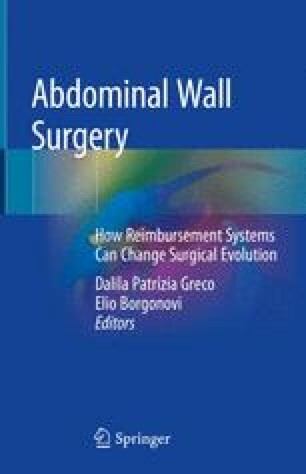 The increasing number of abdominal wall repairs (AWR) for primary and incisional hernias performed yearly worldwide, the complication and recurrence rate of this surgery, with the attention focusing on high risk patient, the new reconstructive procedures, and the introduction on the market of numerous meshes and devices make inevitable that surgeons specialize in abdominal wall surgery. This is particularly true in case of complex AWR (cAWR), where surgeon’s volume experience has been demonstrated to play a significant role in the outcome. In addition, the management of these patients may result in high financial losses no more sustainable by the institutions. Therefore, it is necessary to implement more cost-efficient strategies to correct the balance. This objective can be more easily achieved in facilities specifically dedicated to the treatment of hernias. Actually there is an increasing number of such hernia centers, both hospital-affiliated and independent, but at the moment an exact definition of their characteristics is lacking, except in Germany. A clear certification program of the experience of both surgeons and facilities is needed everywhere, based on precise parameters, following the principles of safety of the patient, good practice, and sustainable costs. Recently the Italian Society of Hernia and Abdominal Wall Surgery (ISHAWS) has proposed a certification program for both surgeons and facilities, based on parameters derived from an accurate review of the literature.